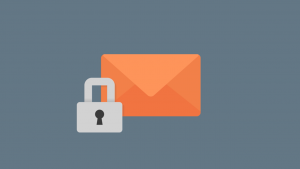 What Is DMARC and Why Is It Important? Originally Posted on the RBLTracker Blacklist Monitoring Blog. DMARC, or “Domain-Based Message Authentication, Reporting, and Conformance”, allows a domain owner to publish policies in DNS, telling remote mailers what to do with messages that do not align with these polices. DMARC is built on top of two existing technologies: SPF, or “Sender Policy Framework”, and DKIM, or “DomainKeys Identified Mail”. By publishing a DMARC policy via DNS, domain owners can instruct remote mailers on what to do with messages that do not pass either a SPF or DKIM test. It also provides a mechanism for reporting under those policies. This gives remote mailers a channel for letting domain owners know that they received messages that did or did not align with those policies. The main goal of DMARC (and SPF and DKIM), is to detect and prevent email spoofing. For example, phishing scams that are designed to look like they’re coming from your bank or Paypal, prompting you to click on a link to reset your password or to give them your information. Ultimately, SPF and DKIM are doing the hard work here. By designating email systems that are permitted to send email for a domain, and by cryptographically signing messages to avoid header modification en-route. But DMARC ties the two technologies together, providing a single interface for instructing remote mailers on the domains policies, and actions to take when not met. It also opens up the possibilities of adding additional anti-spoofing or SPAM control software, which could also be handled under the DMARC umbrella. As a domain owner of example.com, I can publish both SPF and DKIM records identifying my mail system (x.x.x.x) as the only authorized mail relay for my domain. I can then publish a DMARC record that tells remote mailers, that they should reject any messages that do not pass both a SPF and DKIM check, and that they should send reports to abuse@example.com to let me know if and when this happens. If a remote mail receives an inbound email from an email address @example.com, but not from my mail system (x.x.x.x), the SPF check should fail, and they should reject the email in accordance with my DMARC policy. Technologies like DMARC, SPF, and DKIM are great tools in the seemingly never ending fight against email SPAM and spoofing. This entry was posted in RBLTracker, Scams and tagged dkim, dmarc, email, security, spf on 2016/06/28 by mike. RBLTracker: Facebook Threat Exchange, New Website, and More! After more than six month of design and development, we’ve launched a brand new version of the RBLTracker Blacklist Monitoring service and website. This release includes some long sought-after features, including a completely redesigned management portal, support for the Facebook Threat Exchange, and much much more. With a completely redesigned web portal, customers can easily manage all aspects of their RBLTracker account. Improved reporting and graphing features. Additional payment options, including credit card payments, and auto-recharging account balances. 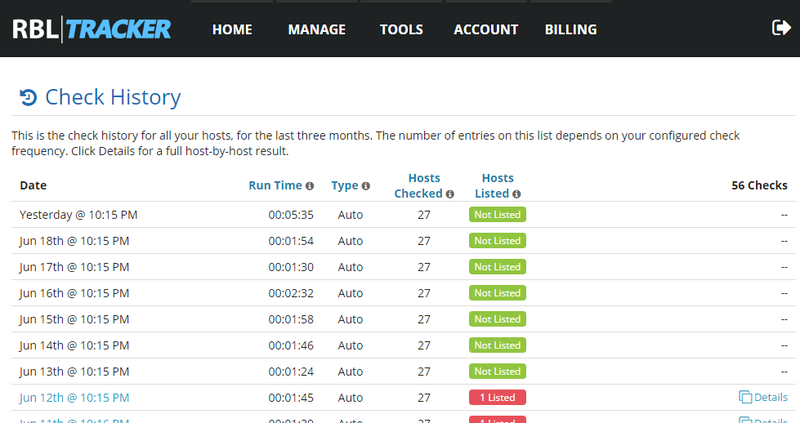 Easier management of accounts with large number of hosts. Support for sub-accounts to split up account management roles for billing, development, and for read-only access users. Support for contact groups by host, which allows custom alerting options by host. Support for the new Facebook Threat Exchange service is now part of the standard RBLTracker monitoring process. Facebook Threat Exchange is a shared network of malware and phishing attack targets, shared by a collaborative of social media and SaaS organizations, including Facebook, Pinterest, Tumblr, Dropbox, and Yahoo. RBLTracker monitors your host IP addresses and domains, against data collected from sources like Facebook posts, Dropbox files, and Pinterest pins. If your domain or IP address was used to try and spread malware or viruses on any of the supported platforms, you’ll receive alerts from RBLTracker. This entry was posted in Development, RBLTracker and tagged rbl-monitor, rblcheck, rblmon, rbltracker on 2016/06/25 by mike. Originally posted on RBLTracker Blacklist Check Service blog. In Part 1 of our series we talked about what RBLs are, and the different types of RBLs. In this article, we’ll talk more about how they can be used by administrators to control the flow of SPAM into their networks. Most mail server software can be configured to make requests against DNSBLs, and reject or accept mail, based on if the sending mail servers IP address is listed in the DNSBL. Or in the case of URIBLs, if a domain name or website URL found in the body of the message is listed. As a quick example, the Exim mail transfer agent (MTA) supports specifying one or more DNSBLs during the ACL processing of an inbound SMTP message. Exim will make a DNS lookup request on the sending mail servers’ IP address, and if found in the DNSBL, can reject the message with a specific error message. The Postfix MTA allows administrator to add one or more DNSBLs using the reject_rbl_client configuration option in the smtpd_recipient_restrictions option. You can also do a simple check on Windows, Mac, and Unix, using the command line nslookup tool. Simply reverse the digits in your IP address, and prefix it to one of the DNSBL host names. Check back for Part 3 of our series where I talk about how RBLs affect organizations, and why they can be an important part of your day-to-day administration. This entry was posted in RBLTracker and tagged blacklist monitoring, dns, dnssec, rbls, rbltracker, secops on 2015/07/20 by mike.